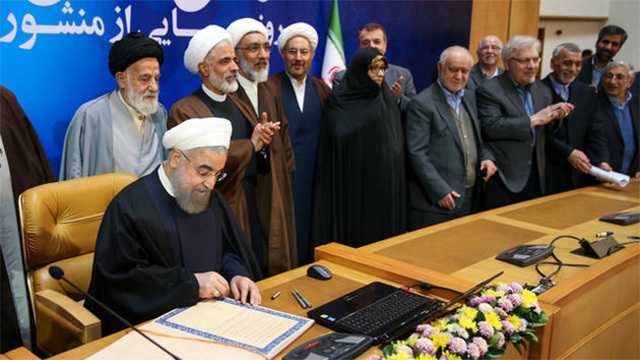 Five months before his second term re-election bid, President Hassan Rouhani signed his government’s “Charter on Citizens’ Rights” on December 19, 2016. The announcement was touted as the fulfillment of a campaign pledge, but the document, which promises the “observance and advancement” of the rights afforded to Iranian citizens by the Constitution, is not legally binding and no steps have been taken to enforce it. When the charter was first drafted three years ago on November 26, 2013, individuals and experts were asked to contribute their ideas and criticisms, but a fundamental problem remains unresolved: the lack of a path to enforcement. With or without the charter, Iranian law explicitly prohibits human rights abuses while protecting constitutional rights. 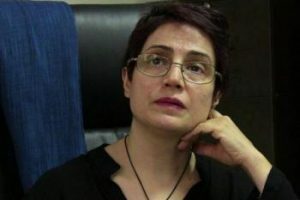 However, the Islamic Republic’s refusal to uphold those rights against violations by the security establishment and the Judiciary enables ongoing abuses documented by the International Campaign for Human Rights in Iran. One of most important provisions of the charter is the president’s appointment of a “Special Assistant for supervising, coordinating and pursuing the appropriate implementation of the government’s obligations under this Charter.” However, such initiatives have proven unsuccessful in the past. During his first year in office, reformist President Mohammad Khatami (1997-2005) formed the Committee to Oversee the Implementation of the Constitution. The committee, the members of which were appointed for an eight-year term, proved ineffective in protecting citizens’ rights and was disbanded in February 2006 by conservative President Mahmoud Ahmadinejad (2005-2013). On April 8, 2004, then Judiciary Chief Ayatollah Mahmoud Hashemi Shahroudi issued a 14-point “Charter on Citizens’ Rights” of his own, which later became the basis of the Law to Respect Legitimate Freedoms and Citizens’ Rights, but even the more conservatively drafted document, which was ratified by Parliament on May 5, 2004, failed to protect citizens’ rights. After the charter’s signing ceremony, a text message from President Rouhani was sent to millions of mobile phones in Iran. “Let’s get more familiar with our rights and powerfully protect them,” he declared. The document of 120 articles includes many appealing headings—such as the “Right to Freedom and Personal Security,” “Right to Self-Determination,” “Right to Freedom of Thought and Expression,” “Right of Access to Cyberspace,” and “Right to a Fair Trial”— but violations of these rights against dissidents occur regularly in Iran and a non-legally binding charter won’t prevent them. However, on December 12 police arrested 54 boys and girls at a birthday party in the southern city of Abadan for simply partaking in a mixed-gender party. Two days later, on December 14, the Tehran prosecutor announced the arrest of 120 people at a coffee shop for alleged “immoral” activities. However, hardliners in the Iranian government view the internet as a threat to the sanctity of the Islamic Republic and state agencies continue to heavily restrict Iranians’ access to the Internet, monitor users’ online accounts, and prosecute individuals for their peaceful online activities. The situation is equally grim in the realm of education. 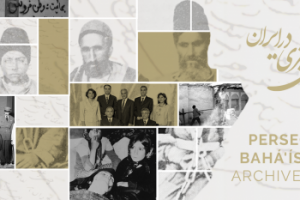 Article 106 states that “Professors, seminary students and university students shall be free in expressing their opinions and they shall not be persecuted or interrogated or deprived of teaching or studying, merely for having or expressing an opinion in academic arenas,” but followers of the Baha’i faith are regularly banned from attending university on the basis of their religious beliefs. For the past three decades, many students have also been expelled and imprisoned for engaging in peaceful student activism on campus. The charter also purports to recognize the rights of citizens “facing political or press-related charges” to a trial “in open court and in the presence of a jury,” yet individuals including prominent human rights defender Narges Mohammadi are regularly prosecuted behind closed doors without full access to legal council in Iran’s Revolutionary Court system. 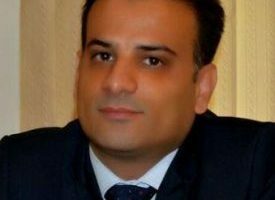 At the very least, the charter could be used to condemn the Islamic Republic’s abuses of human rights, but since coming to power in June 2013, the Rouhani government has avoided defending the rights of citizens from persecution by the Intelligence Ministry, Revolutionary Guards, and the Judiciary. “If the people hand me the responsibility of the Executive Branch, I will codify a charter on citizens’ rights,” pledged Rouhani after announcing his presidential run at a rally in Tehran on April 22, 2013. Subsequently he also promised to free political prisoners and eliminate ethnic and religious discrimination. Although Rouhani has failed to fulfill all of his campaign promises pertaining to citizens’ rights, less than 6 months before he runs for re-election he has taken full credit for creating the charter and has pledged to do more in the months he has left in his term. However, hardliners in the government have successfully opposed all of Rouhani’s promises regarding human rights and personal freedoms by continuing to persecute activists, political dissidents and minorities under his watch. Before Rouhani can take any credit for improvements in this realm, he must implement a way to counter his adversaries—including the powerful Revolutionary Guards, Intelligence Ministry, and the Judiciary—on this front above and beyond publishing a non-legally binding document.